With the ‘Field Tool’ you can add fields from the database. 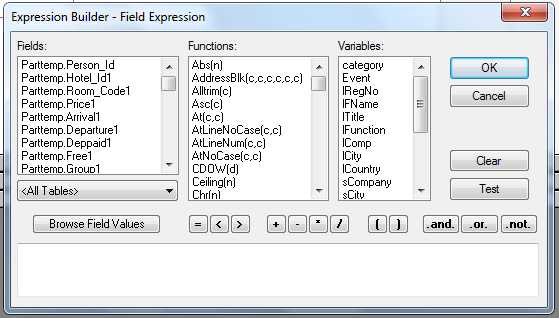 Drag a retangle/square with the fieldtool, after this the 'Expression Builder / Field Expression' screen will open (see example below). You can also change the layout of the field. Do this by clicking it with the right mouse button. After that, a menu will appear with border, background, font and alignment options. With ‘Field style’ you can change the value of the field.